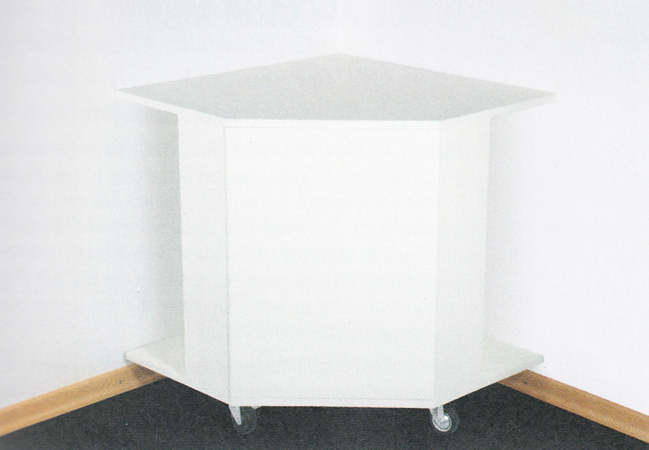 Eckhorn (corner horn) 18 Mk2 is a subwoofer which is placed in a corner of the room. In this way the room is used as horn. Eckhorn 18 Mk2 has a very high SPL of 110 dB (2,83V, 1m). For Eckhorn 18 MK2 different amplifiers can be used. The external Reckhorn A-409 or an amplifier which can be build in a cabinet like Mivoc AM 80 or with DSP an amplifier Audaphon AMP-2200. Eckhorn 18 MK2 is a horn loudspeaker with driver of Mivoc . The kit is delivered with an 18 inch woofer Mivoc AWX 184 MK2. The frequency response is with DSP equalizing very linear. The decay spectrum as shown in the waterfall diagram is exemplary, free of any disturbing resonance. At a volume of 90 dB at 1 m, the nonlinear distortion is below 1% in the frequency range of 20 - 200 Hz and below 0.3% above 50Hz. That is quite splendid.